The Drake hotel is a hotbed for culture, arts and entertainment. With ample spaces to entertain guests, lounge to musical acts and wine and dine at all hours; it might be one of THE places to check in Toronto. 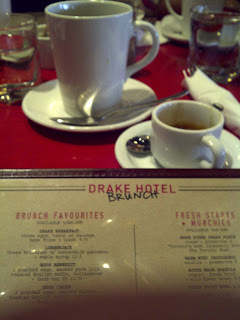 Queen West'r apparently love to sleep-in, and they love their brunch. Why wouldn't Chef Anthony and "the Drake"culinary team create a Brunch menu fitting to satisfy our internationally inclined and locally focused approach to comfort food. Hungry Sundays and a 30 minute drive over the bridge greets us with a heavy presence of "cool" - hipsters included. Machine and Grinder were not visible from our seating area - and the server was uncertain, and didn't come back with an answer. Verdict: hints of cherry with cocoa and dashes of cinnamon. Earthy/herbal tones round out the mouthfeel. After the 3rd sip, flavours become flat. That's alright. 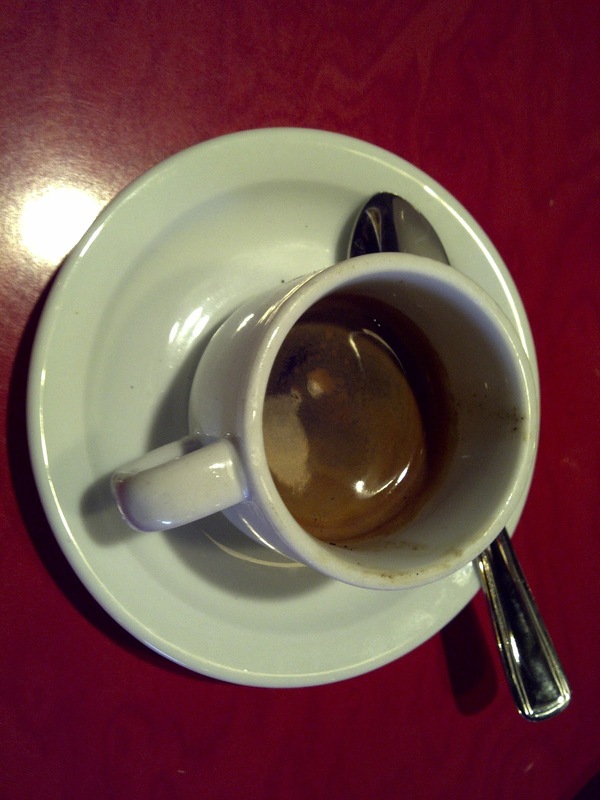 Brewed coffee: smelled like burnt tires - a heavy body. needed additives to spruce up the mix. 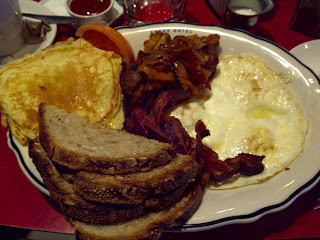 FOOD: Lumberjack! 3 Eggs - O/E, Crispy bacon, pancakes. Thanks Drake for filling me up. Wish I gotten a photo of the chicken and waffles (southern style) but Drake does food right. 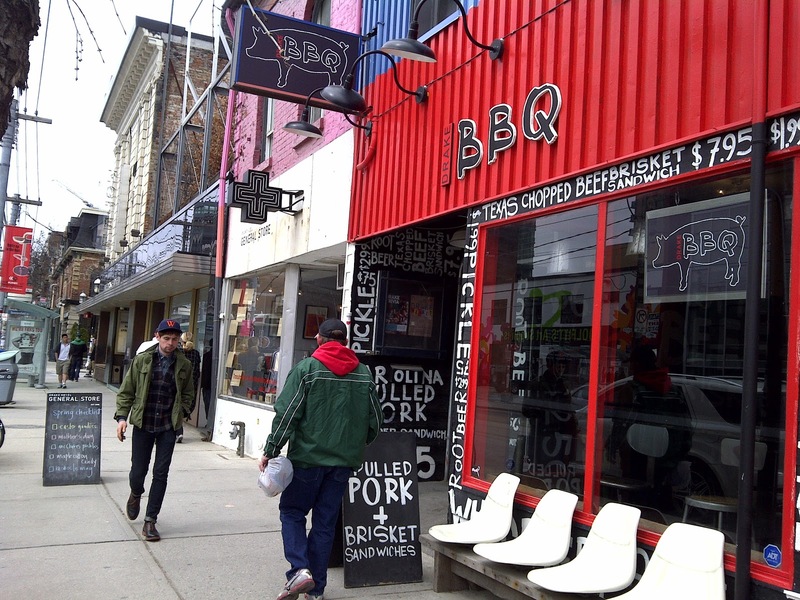 Missing out on Brunch: Go and visit their smoke house next to the general store. Drake is taking up the block and killing it wherever they go. Will we see something in the East end? probably not. That's why we travel.